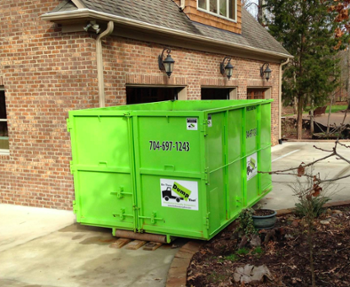 Discover how we make renting a dumpster in Hamilton Township, NJ a simple and easy process. Bin There Dump That is committed to making the dumpster rental process for the customer a seamless transaction, from placing an order for the needed dumpster size to delivery of the waste container in Hamilton Township to an immediate pick up when you no longer need the bin on your driveway. Hamilton Township is home to more than 80,000 people and set on 40 square miles in the heart of New Jersey. It has a legitimate claim to being the park capital of Jersey with 64 public parks. If you love the great outdoors then this is a great place to live. The largest park in the Township also happens to be one of the largest in the state. The Municipal Veterans Park covers more than 350 acres. It’s full of great trails and natural beauty. Mercer County Park also borders Hamilton. This park is home to one of the largest manmade lakes in the US, Mercer Lake. There are many annual events in the area that will appeal to families. The annual Azalea festival is one of the most popular. SeptemberFest also draws large crowds, as does Fall Harvest and Winter Wonderland. Hamilton has plenty of shops for the shopping lover as well. You can choose from small mom and pop stores or the traditional big malls. The three main malls are Hamilton Marketplace, The Shoppes at Hamilton and Hamilton Plaza. Hamilton Marketplace is the most popular. They have many big name stores such as Barnes and Noble, Bed Bath & Beyond and Kohl’s. There are also some great restaurants in the mall. You can recharge at a Chick-Fil-A, whet your whistle at Chili’s Grill & Bar or enjoy a tasty ice cream treat at Dairy Queen. Hamilton Township is a great town and it’s easily accessible from New York or Philadelphia. If you want to work in the big city, but you don’t want to live there then this is the town for you. Your local Dumpster Rental Experts Hamilton Township dumpster rental operators are Danny & Karen Aller.